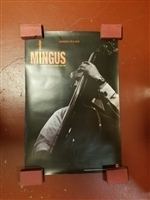 RARE Charles Mingus promotional poster for "Passion of a Man: The Complete Atlantic Recordings" originally released in 1997! 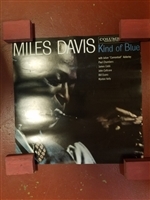 Measures 24"X36"
THESE POSTERS ARE ORIGINAL PROMOTIONAL PAPER GOODS SENT TO RECORD SHOPS—A VERY LONG TIME AGO. PLEASE NOTE—WE WILL BE AUTOMATICALLY INSURING YOUR PACKAGE. 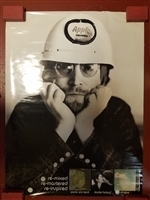 ORIGINAL 2000 promotional poster for remixed and remastered John Lennon albums! Measures at 18"x24". 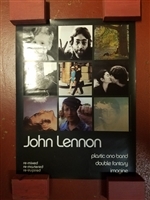 ORIGINAL 2000 promotional poster for remixed and remastered John Lennon albums! Measures at 36"x48". Warner Bros warehouse, in NYC in 2009, found untouched lithographs from when the album was initially released. 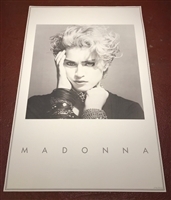 They were doing inventory when She left Warner Bros to go to Live Nation and uncovered a few of these limited, hand numbered lithos...only 5000 were made (unsure of how many made it to stores). VERY RARE and genuine Warner Brothers U.S. promotional only silk flag on a wooden pole. Printed red text on beige fabric, very floaty and perfect for waving around at a gig! Flag measures at 17"x12". Small dark markings due to tape applied to keep the flag rolled up, since 1988. THESE ITEMS ARE ORIGINAL PROMOTIONAL GOODS SENT TO RECORD SHOPS—A VERY LONG TIME AGO. 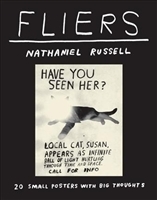 <="" a=""> Nat Russell is a lifelong music aficionado whose listening choices impact his artwork. 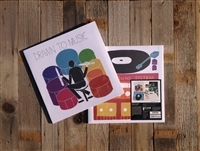 This unique set celebrates the relationship between music and creativity, and is designed specifically for use while listening to your favorite music. Hardcover record sleeve; 12 x 12 inches; 50-sheet sketchpad with illustrated backer board; interior pocket containing a poster and flyer—along with a card with artist interview and artwork! ORIGINAL 1994 Nine Inch Nails: The Downward Spiral promotional poster! Measures 24"x36"! 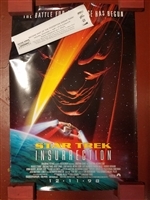 VERY COOL and VERY RARE ORIGINAL poster for the 1998 film STAR TREK INSURRECTION. Measures at 27"x40". Includes stuck on promotional info sheet. 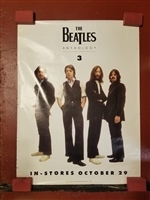 SUPER RARE 1996 Beatles promotional poster for the release of "The Anthology 3!" Measures at 36"x48". 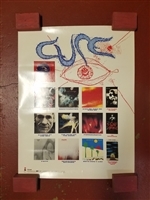 Super RARE and super cool 1992 the cure promotional poster featuring the letters "CU" on one side and discography on the other! Measures at 25"x36"
This poster has a sister with the remaining "RE" and tour dates that is also for sale here! 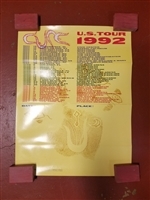 RARE promotional poster for the cure's U.S 1992 tour featuring the letters "RE" on one side and tour dates on the back! Measures at 25"x36"
This poster has a sister with the remaining "CU" that is also for sale here! RARE and super clean Tori Amos promotional poster for the 1996 album "Boys for Pele!" Measures at 20"x30"